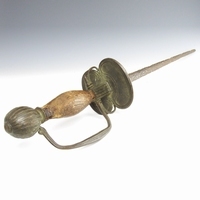 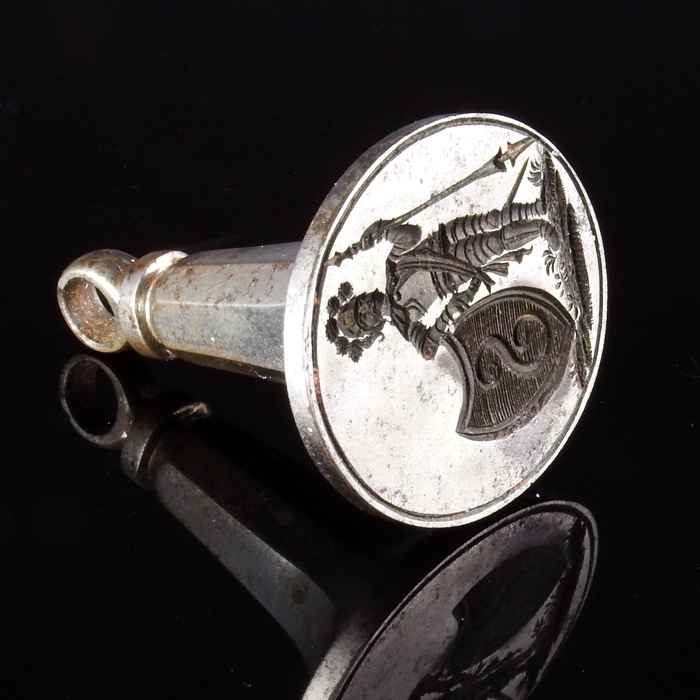 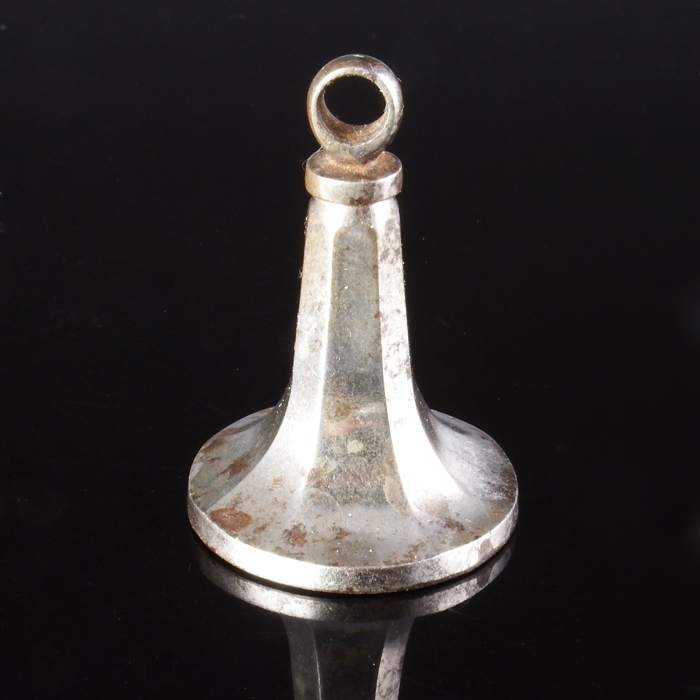 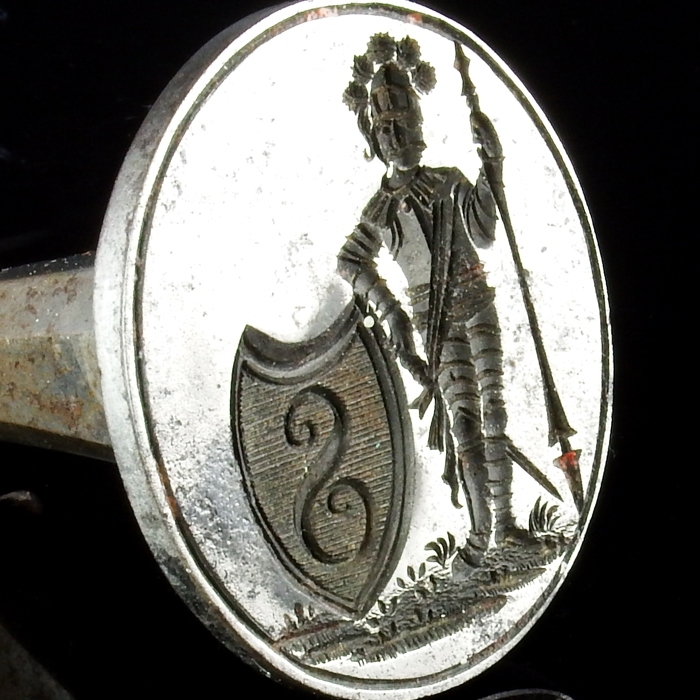 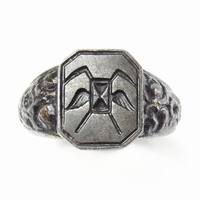 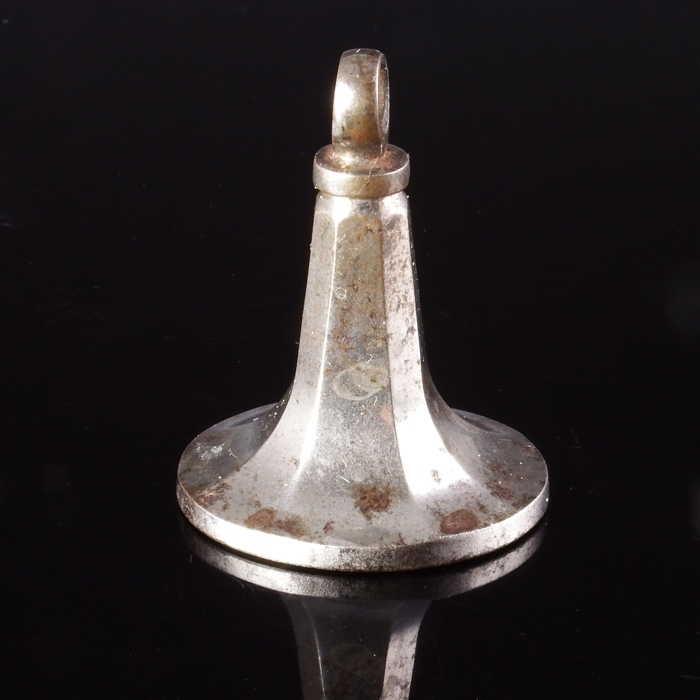 Iron oval 'chessman' type seal with octagonal shaft and suspension loop. 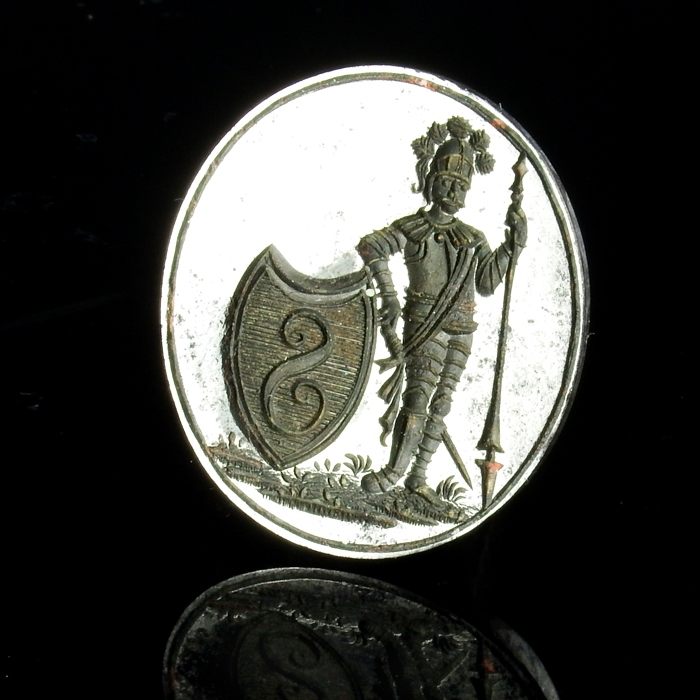 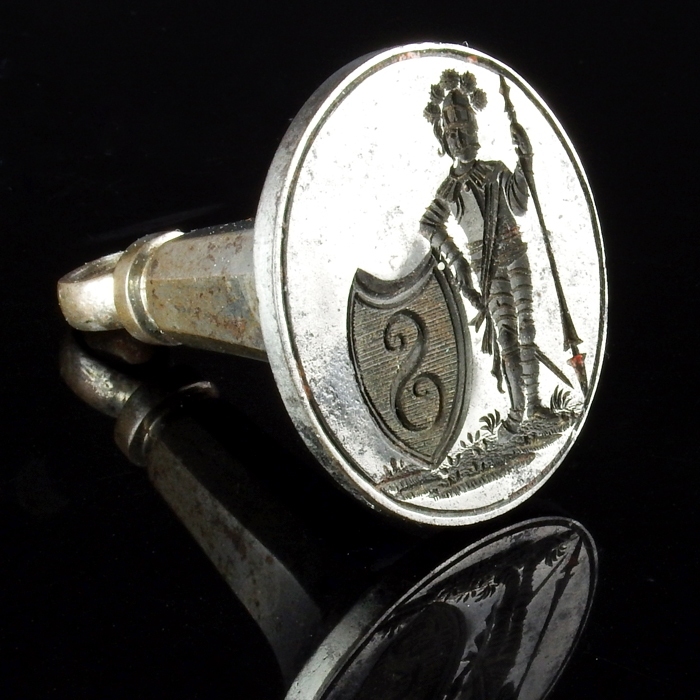 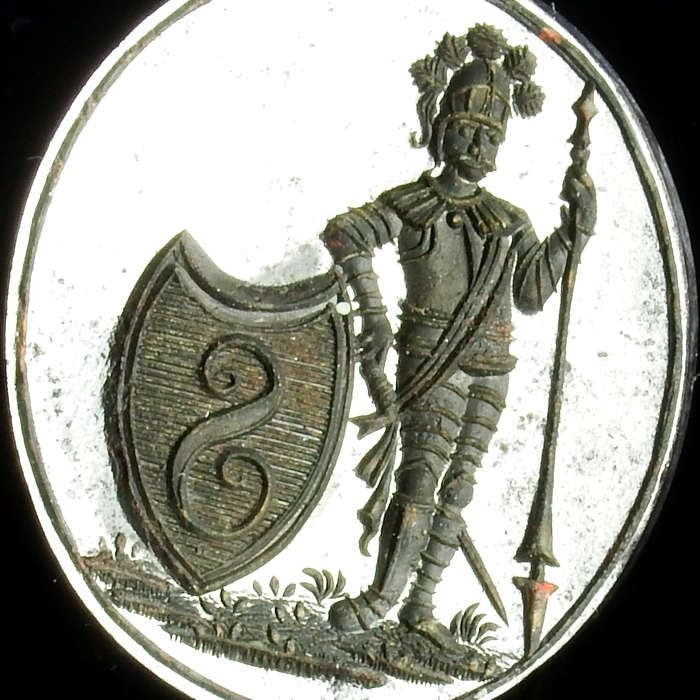 The face of the seal is finely engraved with a standing knight in full armour, holding spear and leaning on a shield. 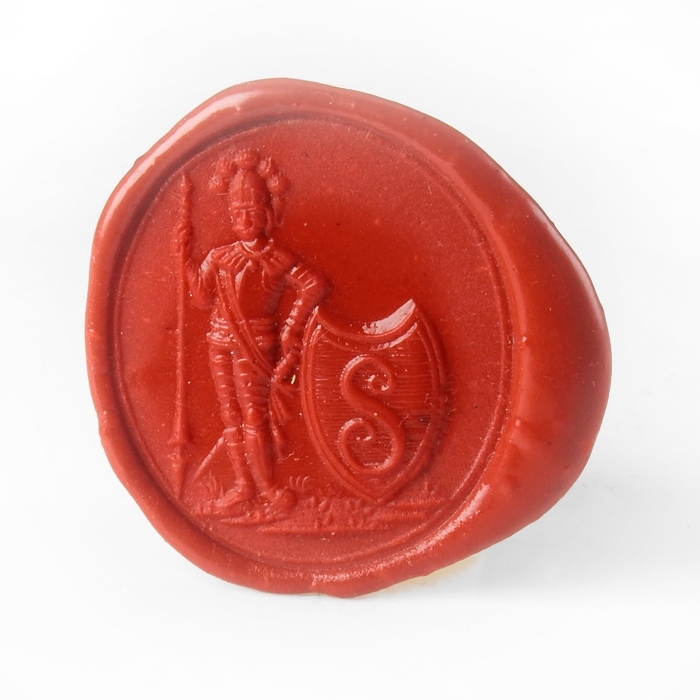 Very good quality seal, giving a sharp and detailed impression.